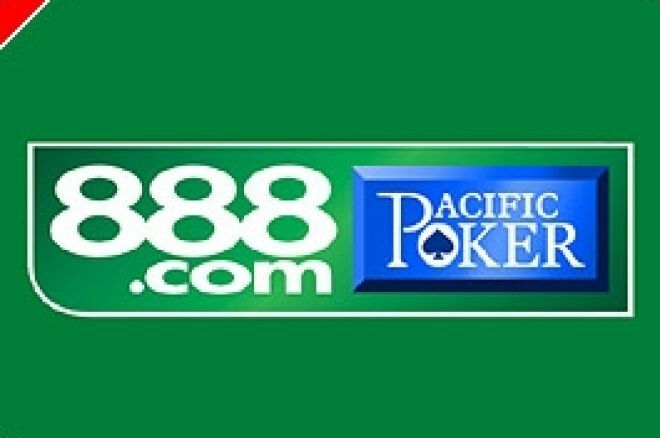 In a trading statement to the London Stock Exchange, 888 Holdings plc, parent company of Pacific Poker, said that it has experienced good growth in its online gaming businesses, including a solid recovery following last October's changes in US legislation. 888 also highlighted its expanding product range including mobile phone gaming, sports betting services and live poker clubs. 888 says that no further update is currently available about its ongoing discussions with Ladbrokes plc. After the introduction by the United States of the Unlawful Internet Gambling Enforcement Act of 2006 in early October 2006, 888 Holdings was amongst the publicly-listed companies that felt compelled to withdraw its online gaming services from US-based customers. 888 says that, immediately following that decision, average daily first time depositors fell by approximately 37%. However, since then, customer acquisition has improved consistently and, during the first 11 days of February, average daily first time depositors is more than 35% higher compared to its low in early November 2006. Similarly, average daily deposits, having fallen approximately 50% following the departure from the US, have shot up to the extent that, during the first 11 days of February, the average daily deposit is also more than 35% higher than the lowest point in early November. In poker, after the US action, average daily active players fell approximately 39% but, since then, the average daily active poker players number is, based on the first 11 days of February, approximately 27% higher than the late October 2006 low point. Amongst other developments, 888 says it intends to grow its brand in Europe. As part of this strategy, it is offering sports betting services. 888 was granted an online sports betting licence in Italy in December 2006 in the recent tender by the Italian government, and intends to launch its full online sports betting service in Italy in late 2007. 888 says that this month it successfully launched its mobile casino. Through this, customers receive secure access to the three most popular casino games, blackjack, roulette, and slots - available in play money or real money. On this platform, customers can access the same account on their mobile phone and personal computer. The mobile software is compatible with over 340 handsets, which covers approximately 85% of the European market. Another recent addition to 888's offerings was the introduction of the Blackjack casino game into the Poker offering giving direct access to its poker client base. Also, 888's established casino brand, Casino-On-Net, released versions in Spanish and German. As already reported in UK Poker News, 888 this month announced a co-operation agreement with the owner of Rileys, which is the UK's leading chain of snooker, pool and poker clubs. Under the agreement, 888 will use its online poker capabilities to support www.rileyspoker.com website while 888 Poker will be promoted by Rileys in their clubs which boast around 525,000 members. This deal is the first combined online and offline poker offering of its kind in the UK. Finally, next month, 888 states that it plans to introduce an all-new Backgammon product. "888 continues to expand its innovative product offering, diversify its geographical footprint with a localized customer experience and extend its multi-channel customer acquisition and retention campaigns. Following our exit from the US market in Q4 2006, the company has worked hard to continue expanding its non-US business and we are especially pleased with the results released today and our performance in recent months. "Our success is the outcome of our clear strategy of providing a unique customer experience based on an innovative product offering, a multi-channel marketing approach and our market-leading customer service. "We have a number of further innovative and exciting initiatives to underpin and drive further growth in 2007. We are encouraged by the strong current trading and remain confident for a successful full year outcome." Ed note: Play poker at 888 and become a Poker Pro For A Year. Click on the link for details of how.